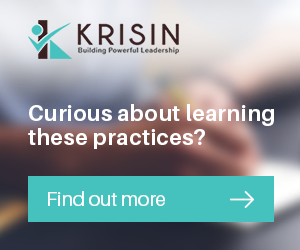 KRISIN Leadership Series is super thrilled to start the New Year with a power-packed series from the Iconic Power-Couple of the start-up space – Meena Ganesh & Ganesh Krishnan. In the second video of the special series, Ganesh talks about the #Top3Philosophies, #Top3Practices that have helped him ideate, create, scale and successfully exit time after time; along the way creating a formidable reputation for himself and his co-founders. Ganesh deconstructs the “secret” behind his Visionary Ventures, Successful Scalings and Enviable Exits. Tune in rest of the week for more gems from the duo – #Entrepreneurship-Distilled, making #Entrepreneurial-Excellence happen. GrowthStory is an entrepreneurship platform that helps craft the growth story of many happening start-ups – #BigBasket, #FreshMenu, #BlueStone, #HomeLane…etc. etc. Ganesh actively mentors, incubates and funds start-ups and is promoter of several Indian consumer Internet and ecommerce companies including Bigbasket.com – India’s largest eGrocery company, Portea – India’s leading consumer healthcare company, Bluestone.com – leading online jewelry company, B2C food tech company, FreshMenu, B2B food tech company HungerBox and HomeLane – India’s leading end to end, vertically integrated interior design and manufacturing provider etc. In addition, his angel investments include little eye labs (acquired by Facebook in Jan 2014), delyver.com (acquired by BigBasket in 2015), onlineprasad.com, Pokkt, SilverPush and DogSpot. Previously, Ganesh founded and was the chairman of data analytics BPO firm Marketics until March 2007, when the company was acquired by NYSE-listed WNS for $ 63 MM. His previous venture, CustomerAsset, was started in mid-2000 and later acquired by ICICI (NYSE listed, India’s largest bank) and is now publicly listed in India as First Source Solutions. In 1990, he founded his first company – IT&T, one of India’s top multi-vendor IT service and support company. The business was acquired by iGate (a listed company) in 2003. Ganesh has also worked as the CEO of Wipro/Bharti British Telecom – a British Telecom JV in India, and held a senior management position in HCL Ltd. He is also a popular speaker in entrepreneurship, start-up and technology events. He has been recognized as one of the “Iconic Entrepreneurs of India” in a document published by National Knowledge Commission, Government of India. Ganesh is a post-graduate from the Indian Institute of Management, Calcutta, and has a degree in Mechanical Engineering from Delhi University.